I'm currently playing with the ideas that have come from Tim's June tag (and yes, mine's done and will be on view very soon). Plus I've got hold of two new sets of Spellbinders Page Maps Shapeabilities dies which have very quickly become my 'go to' sets for matting and layering. Part of the reason for a lot of this experimentation is that Linda Coughlin has given all the individual Distress products an extra discount over at The Funkie Junkie Boutique so they are at a ridiculously low price for one week only. To celebrate I'm going to do an extra 'Friday Focus' post this coming Monday at Frilly and Funkie with an added twist to Tim's background method (his fantastic version is HERE). What I love about Distress products is that they are great to use on their own but go off onto another level when mixed; paints and inks on top of stains is a combo truly made in heaven for the amount of dimension it gives to a plain piece of cardstock. Really gorgeous creation Jenny. Just love the simple background and the stamping is beautiful. Love those dies too. Thanks for joining in with our FSC challenge too. Love this... great colours and the layers work beautifully, especially that fabulously funky mesh! 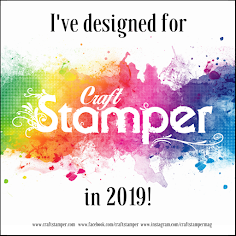 Great to have you play along with us at The Artistic Stamper. Fabulous layers and design Jenny and looking forward to what Monday brings. Enjoy the rest of the weekend. Jenny, this is another wonderful "work of art"
Wonderful colours and a great arrangement on this piece. Wow that is a set of dies I'd not spotted but might need now. They are great for male cards and you've done your usual brilliant job with this one. Really interesting layout and lots of textures going on. lots of lovely layering on fantastic dies. Have a great Sunday and I look forward to tomorrow's post. Wonderful LO on this card!! Love the stamps and how you put it all together!! Great men's make!! Such a creative card Jenny...the layers are great, love the whole idea! I am so loving this manly birthday card. Love your coloring and those are great new toys. Thank you so much for joining us at FSC! Enjoy your Sunday! Hugs! Fabulous card Jenny, love the new dies you've used (I need to investigate!). 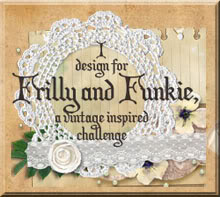 Hi Jenny, Gorgeous card, loving the new Spellbinders page map die, will definitely be looking out for that one. The colours and layers are gorgeous. Hi Jenny, Fabulous card, love all the interesting die cut layers with this image, and such lovely colour combo. Each year is definitely another voyage! Great birthday card! Love the rusted screen! Fab color too! I love your use of colour. It almost has the appearance of being worn by the weather, really fabulous. Such a great card - then again, we have come to expect nothing less from you Jenny. Love those gorgeous layers on your fabby card. Another total beauty! Makes me want to pull those stamps and that edge die right now... inspiring! A gorgeous birthday card, great details. 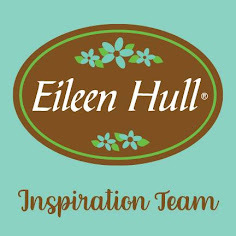 Thanks for joining us at Fashionable Stamping Challenges. Hi Jenny. Such a wonderful play with colours and ink! I love the spellbinders, they add another dimension to the layering...great for a guy!